Merseyside purveyors of rock n’ roll Little Triggers storm back onto the scene today with their brash and anthemic new single, ‘So Fine’. The new track offers up fiery guitar riffs, stomping drums and vintage 70s rock vocals alongside the band’s youthful energy and relentless sense of purpose. Rocketing out of the gates with an unshakeable passion for both classic rock sounds and the need for gritty sonic innovation, Little Triggers are a powerhouse band led by the dynamic vocals and livewire stage presence of Tom Hamilton. 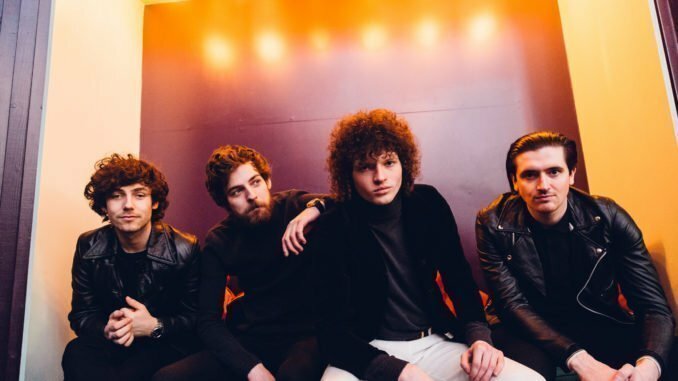 Like all the best rock n’ roll gangs, the four-piece have a shared vision of restoring the rawness of guitar music and festival-ready choruses to the top of the tree and come armed with the looks, charm and ear for a hook to do it. With an Iggy Pop support slot last year already in the bag as well as a growing fanbase from sold-out shows in the UK, France and China in the past 18 months, 2019 will convert more music fans hungry for authentic thrills to the Little Triggers musical cause. Find Little Triggers at facebook.com/littletriggersuk , instagram.com/littletriggers and twitter.com/littletriggers_ now.